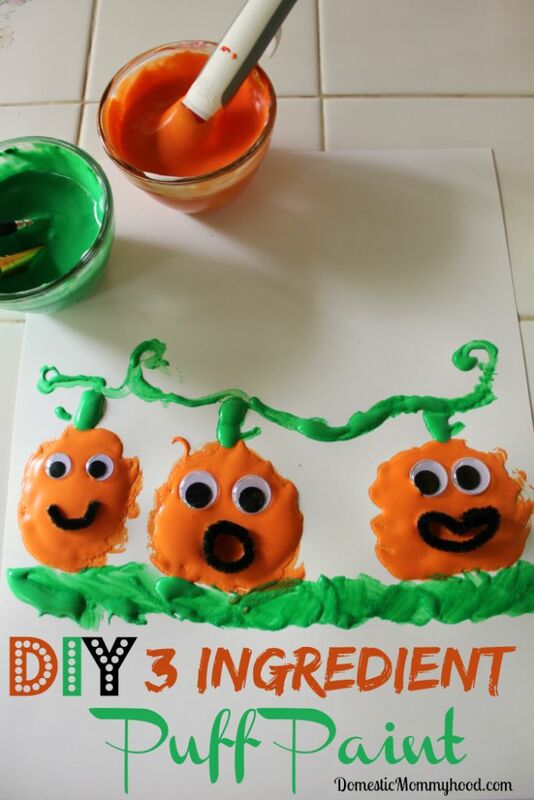 We decided that in honor of Halloween we needed to make a cute pumpkin craft and this easy DIY 3 ingredient puff paint recipe would be perfect! Charlee Ann had a blast and you know that she had her hands and tummy covered within the first 20 minutes. It’s her favorite thing to do!! She just loves painting her own hands! The Puff Paint is super fun to work with and dries sorta puffy and soft. 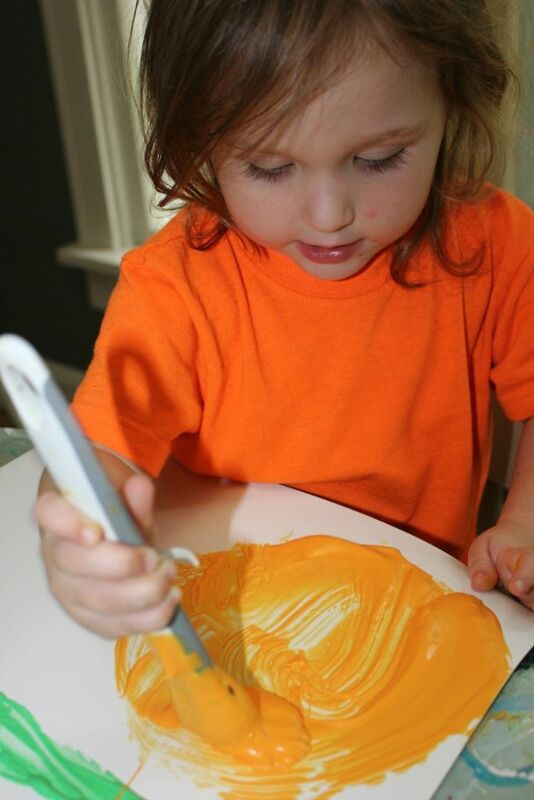 Every day Charlee Ann has to rub her hands all over her dried painting because she loves the way the puff paint recipe feels when it dries. It’s a super fun experience for the little ones and a great way to ring in the fall season! 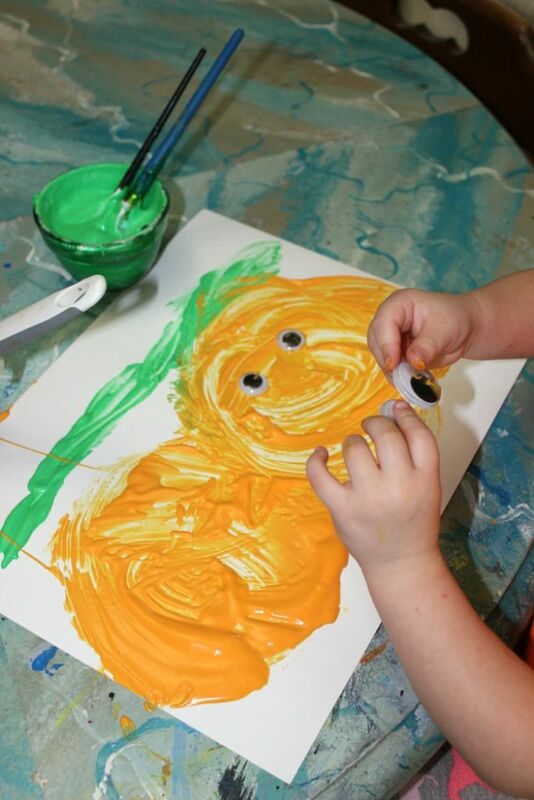 Take 1/4 cup white school glue and 1/4 cup shaving cream and mix well. Do this for each color you would like to use. 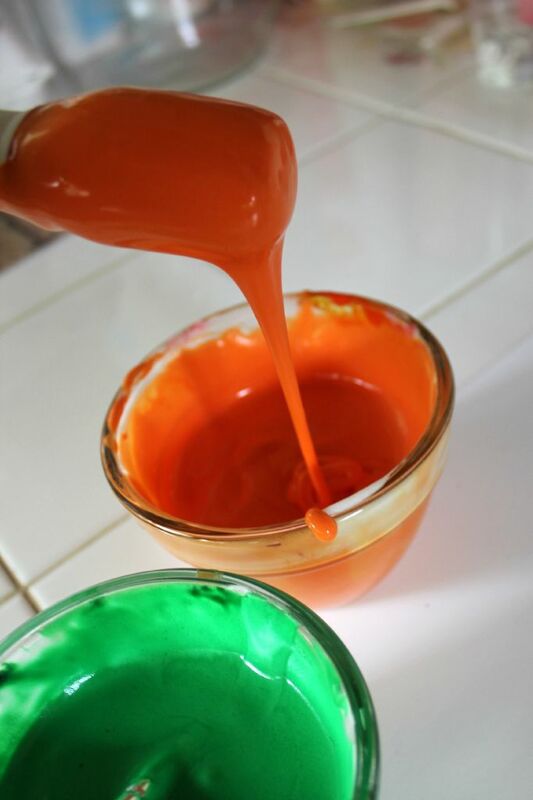 Mix in your food coloring gel or liquid watercolor to desired colors. Paint away!! Make sure you child touches and feel the paint! It is AWESOME!! What an ooooey goooey sticky mess!!! We loved it! Charlee Ann did so good making her pumpkins. She kept screaming “Look Mom!! I’m doing circles!”. We added on a few googly eyes just for fun! And she had to paint a few balls too!! It was a sticky mess by the time we were done but boy did we have a great time! 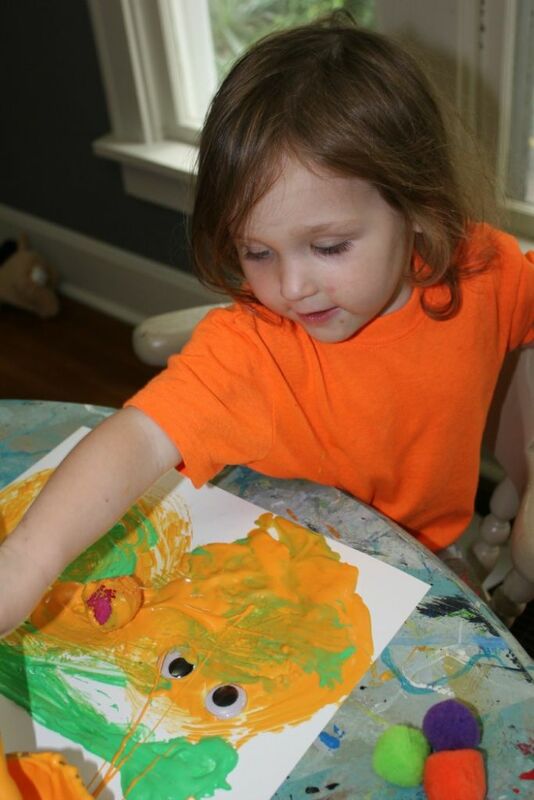 Leave a comment below and let me know how your child enjoyed this awesome puff paint recipe!